I am getting more and more comments about my prediction that 2006 will be the year of VoIP peering. There is just more more day in 2005 after all. That is why I am so excited that CableLabs recently reported that over 30 companies responded to their VoIP peering RFI. Approximately 30 technology companies responded to the CableLabs®-issued request for information (RFI) for technologies to enable cable operators to share Voice-over-IP (VoIP) traffic directly over their IP networks. This ability is called VoIP Peering. 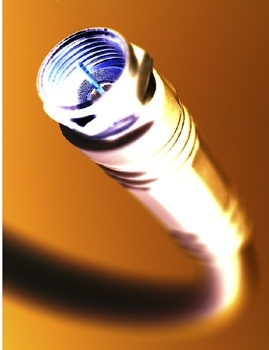 CableLabs was seeking to collect information from manufacturers and third-party service providers regarding the technologies, products and service solutions which could enable the development of a production-grade VoIP Peering infrastructure to allow this VoIP traffic exchange among MSOs, and between MSOs and other service providers. Information was sought in several areas, including the architecture(s) for VoIP peering services, the set of Internet specifications and standards that can enable a scalable platform for interconnecting voice and other real-time communication services, and the associated operations and management requirements to develop a production-grade environment. I can’t wait for the world’s third ever VoIP Peering Summit in Ft. Lauderdale, Florida in a few weeks! I hope to see January 24-27, 2005!